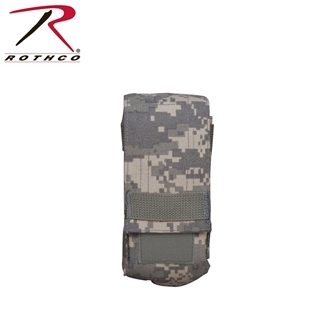 Rothco's MOLLE II 3 x 30 round 5.56mm Magazine Pouch measures 7 x 2 3/4 x 3 inches and is made from ACU Digital polyester. 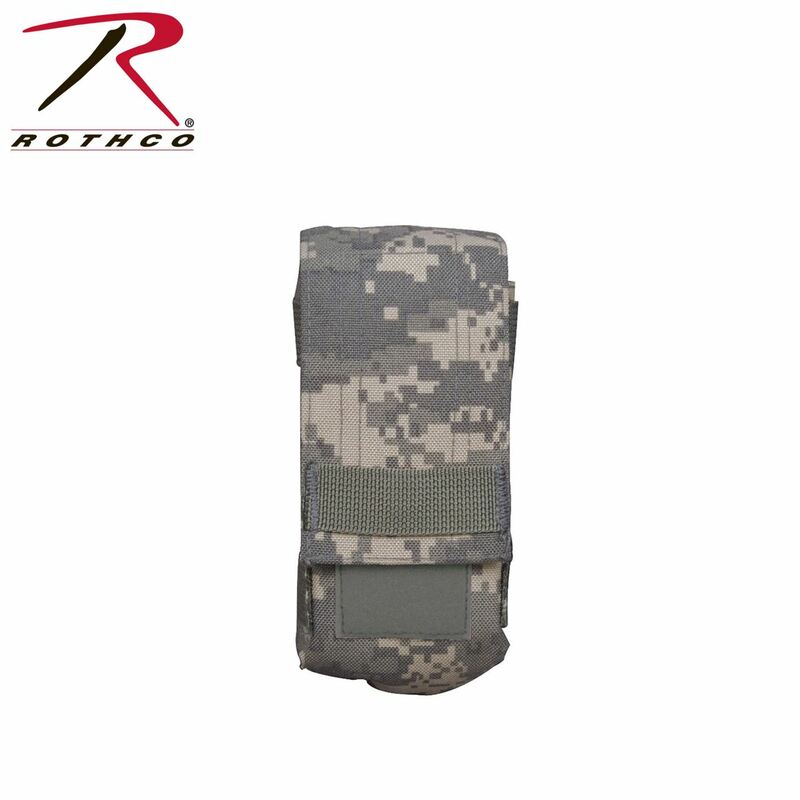 The pouch holds three 5.56 30 round magazines which is held closed by a flap with a snap and hook & loop closure. A grommet hole on the bottom keeps the pouch dry.